Image Engine’s Thomas Schelesny – VFX supervisor on episodes of Game of Thrones – discusses working under legendary creature creator Phil Tippett on films like Starship Troopers (above), and where we’re at with VFX in 2017. Phil Tippett is renowned in the world of visual effects. Beginning his career with creating the iconic, stop-motion chess game in the original Star Wars film, he won his first Oscar for working on Return of the Jedi. As VFX moved from models to digital effects, he and his Tippett Studio continued their work – generally specialising in creature design and animation for the likes of Jurassic Park (for which he won another Oscar) and Starship Troopers. More recently Phil’s moved back to stop-motion, focussing on a personal project he’s been working on for over 30 years, Mad God – which came to everyone’s attention again last week when a lengthy interview with Phil appeared on CNN’s Vice-a-like site Great Big Story. 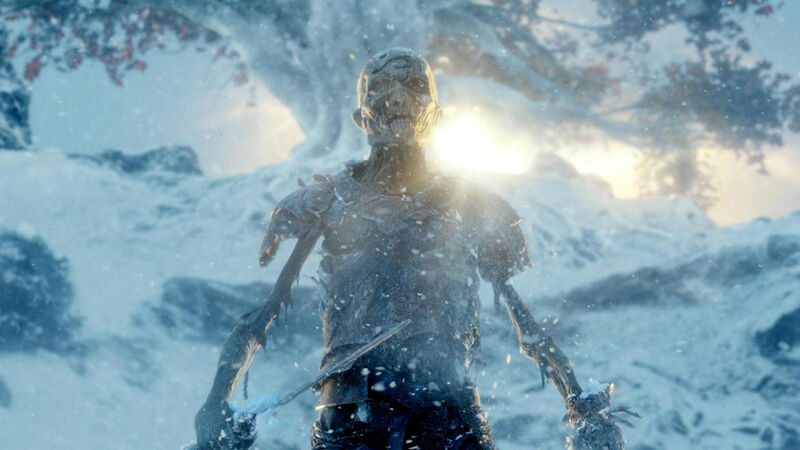 Thomas Schelesny worked for Tippett Studio as a VFX artist and supervisor, before joining Image Engine and working on Game of Thrones – for which we won both an Emmy and a VES Award in 2015 for the fourth season’s final episode The Children. We spoke to him about working under Phil Tippett, and how the role of a VFX supervisor has changed through his career. Digital Arts: What was it like working so closely with Phil Tippett? What were the most important lessons he imparted on you? Thomas Schelesny: “Working with Phil Tippett was an unlikely dream come true, and a once-in-a-lifetime opportunity to study under one of my heroes. Phil’s reputation, body of work, and long relationship with the legendary stop-motion animator Ray Harryhausen [with whom he struck up a friendship with Phil was a teenager] all embodied the pedigree that I wanted to be part of. I would have accepted any position they offered me – and I did – and when they called I committed myself without hesitation. “In professional terms, working for Phil was a traditional apprenticeship in every sense of the word, where we carried out our regular duties and picked up the lessons through direct observation and practice. I spent my first years elevating my skill set as a character animator and then the next decade learning the finer points of the craft. DA: What were your best memories of working with Phil? A still from episode 10 of season 4 of Game of Thrones, for which Thomas won a VES Award and an Emmy in 2015. DA: Your experience spans a great deal of disciplines – screenwriting, editing and directing. How does this effect you as a visual effects supervisor? DA: What do you think today’s VFX projects demand from a VFX supervisor? TS: “The demeanour of the VFX supervisor has a great effect on both client and crew. Tight deadlines and creative obstacles can build uncertainty and apprehension on the team. Experienced VFX supervisors can bring a calm, patient, confidence which reduces pressure on the artists, and gives them permission to take risks. “Today, we often work remotely with clients we may never see in person, and for whom English may be a second language. As a result, supervisors need to be articulate writers and speakers, carefully avoiding lyrical descriptions which might get lost in translation. DA: You’ve worked on practical effects in the past – how does this feed into your work today? TS: “Directing on-set animatronic creature puppeteers is very similar to supervising visual effects animators. But on set, there’s constant pressure to either approve a take or quickly make adjustments and go again. There’s no time for apprehension or regret; once you approve the performance everybody immediately moves on to the next setup. It all happens very quickly, so you have to stay sharp and trust your own judgement. “Set work has changed my approach to post production in that I spend less time ruminating over shots frame-by-frame, and I now judge as much as possible in real-time. I don’t see the filmmaking process as instinct or analysis, I see it as instinct and analysis. DA: Do you have any general comments on ‘the VFX industry in 2017’ that you would like to impart? TS: “I’d like to turn the focus back to advancing creative skill sets, cinematic literacy, and technical innovations which I believe have not kept pace. I think the answer comes from outside the workplace, an industry apprenticeship or development program that partners new Artists with experienced professionals who can provide the long-term guidance that I once enjoyed. The way forward lies in how we work with new Artists so they not only meet the current standards, they eclipse it. DA: What are your best memories from your career in VFX to date? TS: “When I reflect on my career, there are a couple of shows that stand out – but the real memories come from the friends and artists I’ve had the pleasure to work with. In spite of the massive growth of our industry, a strong professional camaraderie persists – in fact it’s grown.